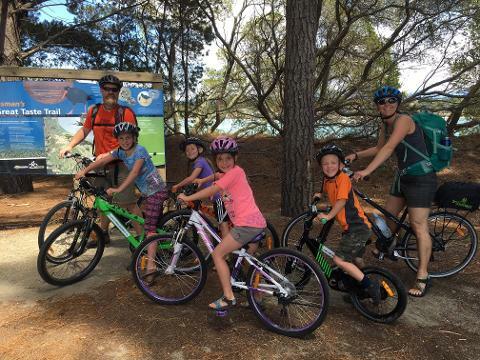 This one day Cycle & Sail adventure takes in some of the most stunning scenery on Tasman’s Great Taste Trail, and the amazing experience of Sailing in Tasman Bay with Abel Tasman Sailing adventures. Your destination – Mapua Wharf is a vibrant hub of galleries, studios, restaurants, wine bars, cafes, shops and the Golden Bear Boutique Brewery. A Perfect destination for lunch while sampling the relaxed atmosphere and vibe. Your adventure starts at our base in Nelson where you will be fitted to bikes and briefed on your tour. 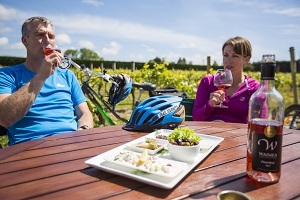 From here you will start your cycle ride to Mapua on Tasman’s Great Taste Trail. (We suggest you arrive at our depot by 9.00am and aim to catch the 12:10pm Ferry on Rabbit Island over to Mapua) There are many fun stops along the way with award winning wineries, craft breweries, and the World of Wearable Art museum to name a few. Cycle the old Rail Route from Nelson City to Richmond before turning onto the picturesque Coastal Route to Mapua. Cross the spectacular Waimea Swing Bridge then on to Rabbit Island. Take a swim in a freshwater swimming hole or the warm sea waters and sandy beaches of Rabbit Island. This is all ‘grade one’ riding (easy) where a moderate fitness level is required. A short ride on the Mapua Ferry has you landing on the Mapua Wharf where the vibe and atmosphere is very relaxing while you enjoy some great food and beverages. This is also a great day out for the whole family. 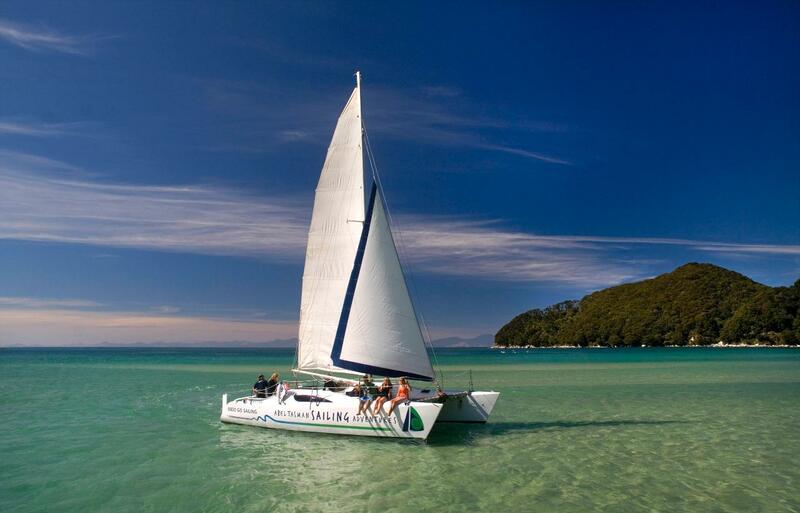 At 1:30pm its time to board the sailing catamaran with the crew from Abel Tasman Sailing Adventures. Sit back or get involved on the 2 hour Sail back to Nelson, catching some great afternoon sea breezes and viewing Nelson from a whole different angle. This is a magic day out! Cycle equipment which includes bicycles, helmet, repair kit, carrier bag, odometer and trail map.